Cedar Leaf Hydrosol – How Refreshing! | Nascent Naturals Inc.
Cedar Leaf Hydrosol – How Refreshing! Home Ingredients Cedar Leaf Hydrosol – How Refreshing! 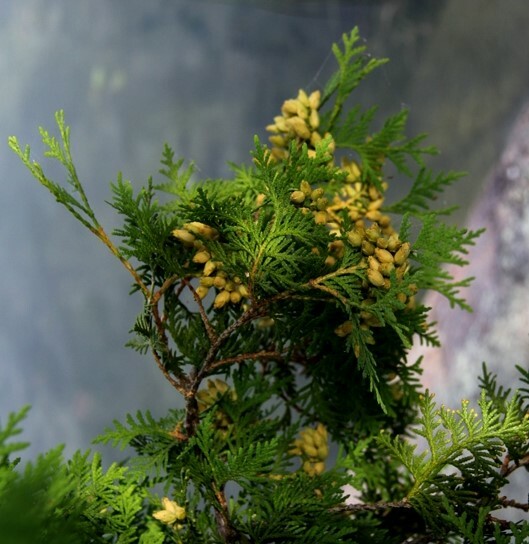 Also known as arborvitae, white cedar or “Tree of Life”. The cedar tree is part of the cupressaceae botanical family which includes both red and white cedars which is native to Canada and other parts of North America. 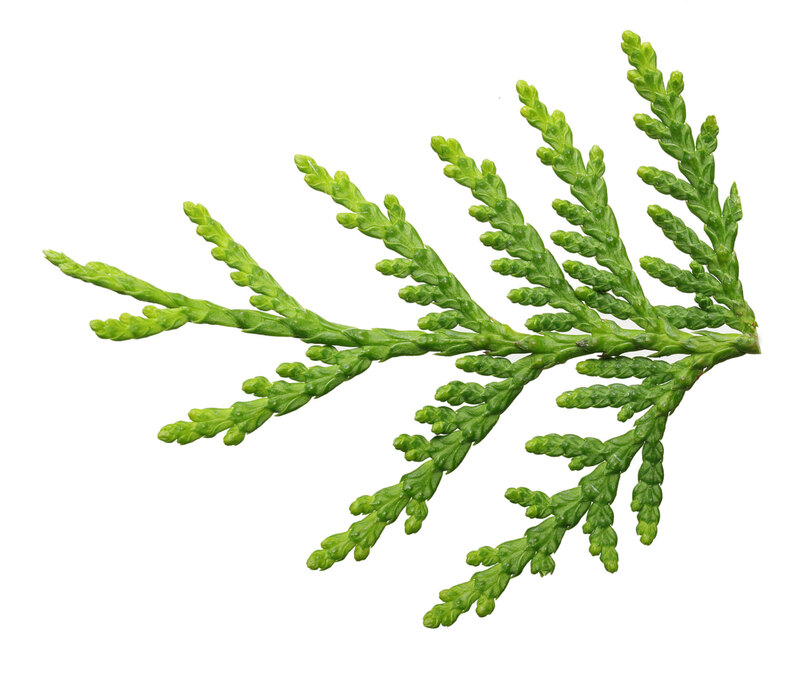 Although commonly called cedar, it’s not actually part of the cedar family. The tree is steeped in rich history of spiritual and medicinal uses and provides a plethora of useful products. Smudge sticks and natural pet beds are made from selected small leaves and branches. The sap has been used to seal and disinfect wounds for centuries. Cedar wood and cedar leaf essential oils are produced from distillation of the respective parts, but the water left over from distillation is the focus here. This exquisite sweet and refreshing hydrosol has been used for centuries by many cultures to purify the air, remove negative energies and attract healthy positive spirits. According to North American legend, cedar is considered the protector as it is a favorite of the “Thunder Beings” . 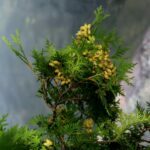 It is common practice to burn cedar leaves, incense made from the tree or spray the hydrosol during thunderstorms as the legend also indicates that lightening will not hit a cedar tree. Hmm, I should plant some on top of my house. While the essential oil is very intense and considered somewhat toxic which requires skilled use by trained Aromatherapists and other essential oil experts; the hydrosol is quite gentle and can be used safely for many purposes. Some reported and noted medicinal and spiritual uses throughout history include: A gentle steam inhalant to soothe respiratory issues, astringent for minor scrapes and cuts, cooling facial toner and soothing to inflammation due to arthritis and other acute injuries. It is also an effective natural insect repellent. Storage: For optimum shelf life, all hydrosols should be kept in the refrigerator or cool place below 50F, and out of direct light. Skin: astringent effect, disinfect wounds, soothe inflamed skin. Easy to make sprays or add 5- 10% to creams and lotions. Spa / Steam baths: Heat up a small amount and add to steam rocks or saturate towel for a decadent facial treatment. Spiritual: Used as a “liquid smudge” when burning incense or sage sticks is not an option. Native traditions indicate it helps to clear negative spirits and energies. Combine with sweetgrass hydrosol for better effects. This hydrosol is distilled right here in Ontario, Canada! Purchase Cedar leaf Hydrosol here! Hydrosols – A by-product (co-product) from the distillation of essential oils. Most common are orange blossom, rose, lavender, rosemary and chamomile. If an essential oils has been distilled then its hydrosol exists. In most cases, hydrosols are very pleasant and friendly to the skin. These waters are mildly antiseptic, astringent, and lightly fragrant. They can be applied directly to the skin as a toner, mixed with creams, in facial compresses, lotions or used as a body splash. A great alternative to essential oils when treating children and are often referred to as the ‘gentle aromatherapy.’ When possible, use instead of just water. Conversely, a plant can be distilled which does not produce an essential oil, but does have aromatic and therapeutic properties such as witch hazel or sweetgrass. Disclaimer – Avoid direct contact with eyes. For external use only. generally safe for babies and small children, however we recommend the product be heavily diluted for first use on infants to avoid any irritation. It’s good that you write such articles with deep understanding, I feel a professional approach.